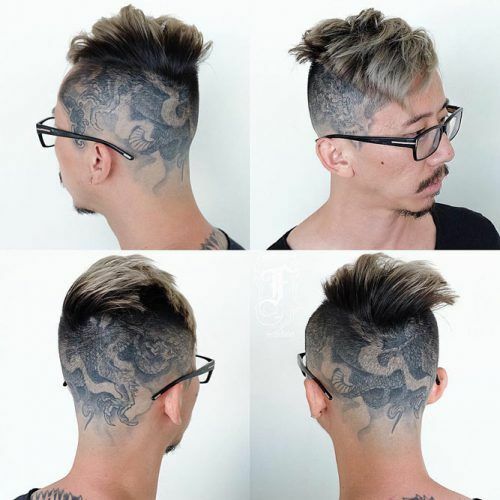 What Is The Undercut Haircut? 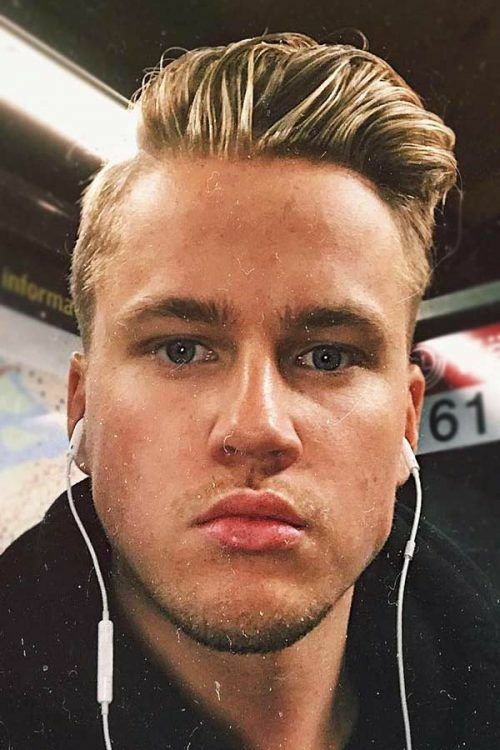 What Face Shape Work Well? 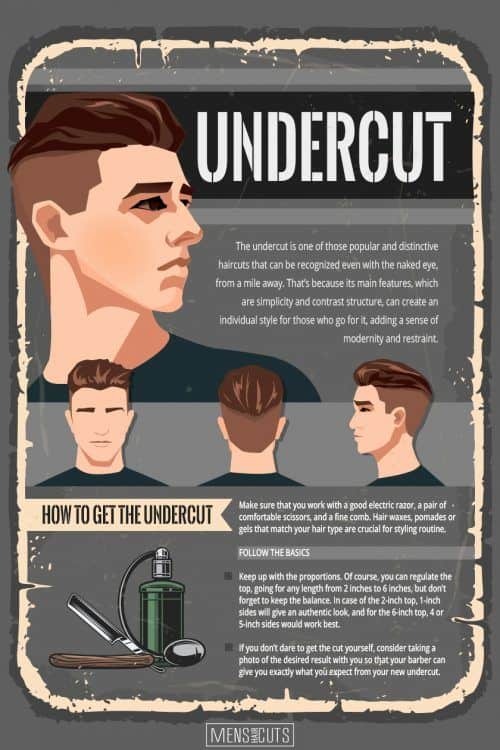 The undercut is one of those popular and distinctive haircuts that can be recognized even with the naked eye, from a mile away. That’s because its main features, which are simplicity and contrast structure, can create an individual style for those who go for it, adding a sense of modernity and restraint. 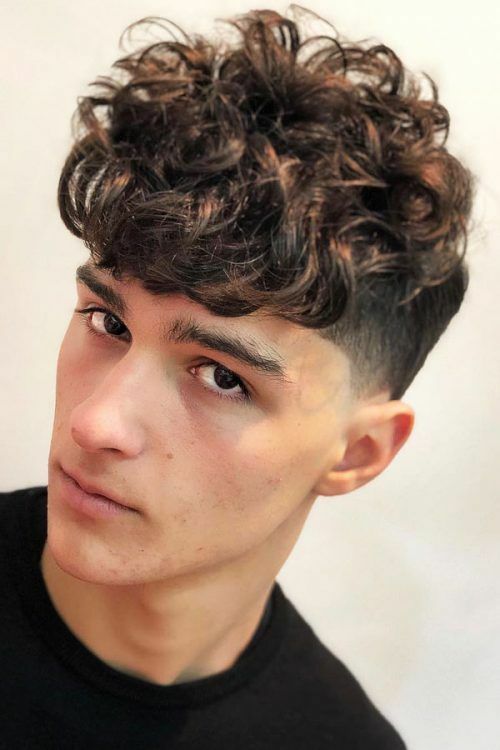 Men love this cut because it keeps up with nowadays’ fashion and has a lot of styling options, giving a lot of room for customizing. To help you stay tuned, we’ve prepared all the basic things you should know about the cut: from its creation to maintenance and styling. Let’s join the undercut lovers’ club! You may see this cut everywhere, but what is an undercut exactly? First of all, this cut involves the length contrast: the sides and top are of different lengths. The top is always left longer, and the sides, as well as the back, are razored or buzzed. As for the overall length of your cut, it can range from short to long, but originally this cut comes in a short-to-medium style. When speaking of classic variations of men’s undercuts, square and diamond-like faces are the perfect match for the cut. Since it has a minimalist and smooth silhouette, it will balance out the angular facial features of such face shapes, making them look less sharp. But let’s don’t forget that undercuts can be different. That means some blended or seamless options for men with round or oblong faces can create the needed smoothness to their faces too. Whether you’re about to go for long hair undercut or you stay true to the classics, there are no restrictions for the general length of your cut. But there are some basic things that every man should know to stick to the right structure of the cut. Make sure that you work with a good electric razor, a pair of comfortable scissors, and a fine comb. Hair waxes, pomades or gels that match your hair type are crucial for styling routine. Keep up with the proportions. Of course, you can regulate the top, going for any length from 2 inches to 6 inches, but don’t forget to keep the balance. In case of the 2-inch top, 1-inch sides will give an authentic look, and for the 6-inch top, 4 or 5-inch sides would work best. 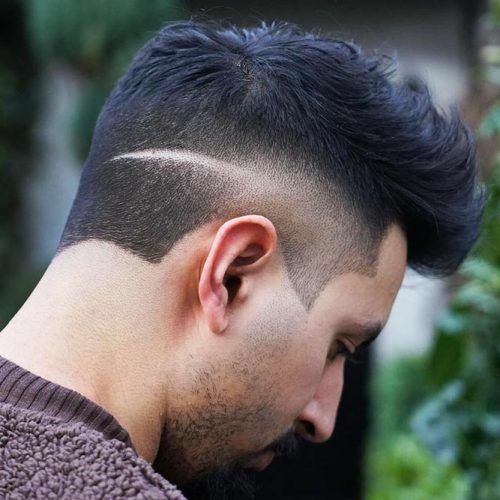 If you don’t dare to get the cut yourself, consider taking a photo of the desired result with you so that your barber can give you exactly what you expect from your new undercut. Undercut haircut has become a trend of now not for nothing. Its stylishness and low maintenance speak for itself, and the same goes for its styling versatility. The ways of cutting, wearing, and styling the cut are countless, which is why it appeals to men. This cut can be as diverse as you want: from neat and sophisticated styles to brutal bad-boy looks. Which one is up to you? 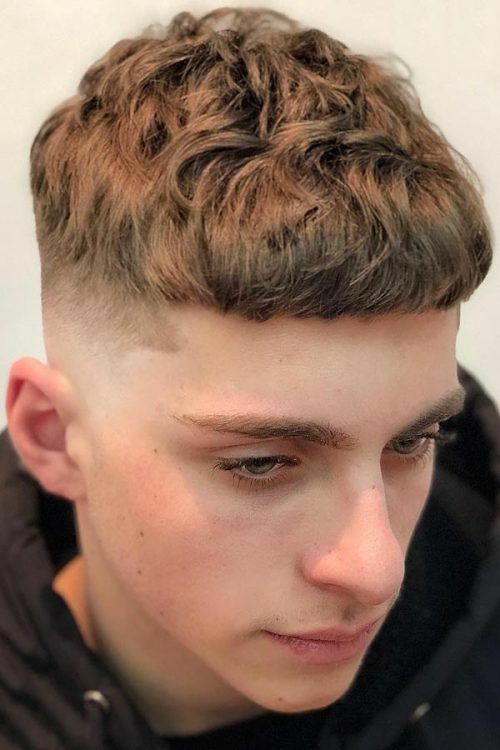 Undercut fade is the fantastic mixture of trendy haircuts that combines in itself the neatness of the classic fade haircut and striking edginess of the undercut. Being the embodiment of practicality and fashionability, fade undercut is an awesome base to both keep your hair immaculate and make it fit your style. Mens fade cuts can be styled as one pleases. It can be a slicked down, back or side faded undercut with lots of texture options. The disconnected undercut is all about boldness and rough transitions. 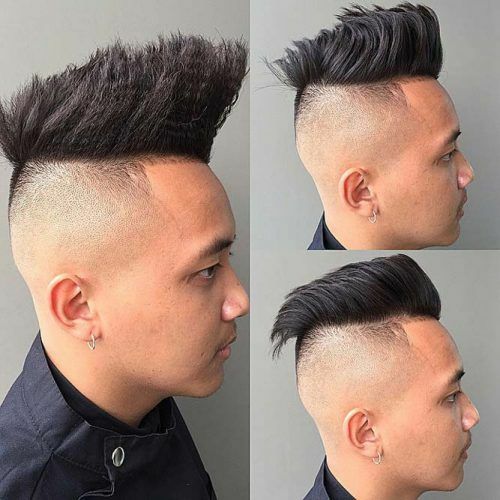 The hair on top is traditionally longer, yet the transition to the short sides is pretty abrupt as it starts going shorter at a certain point, forming the disconnected body. 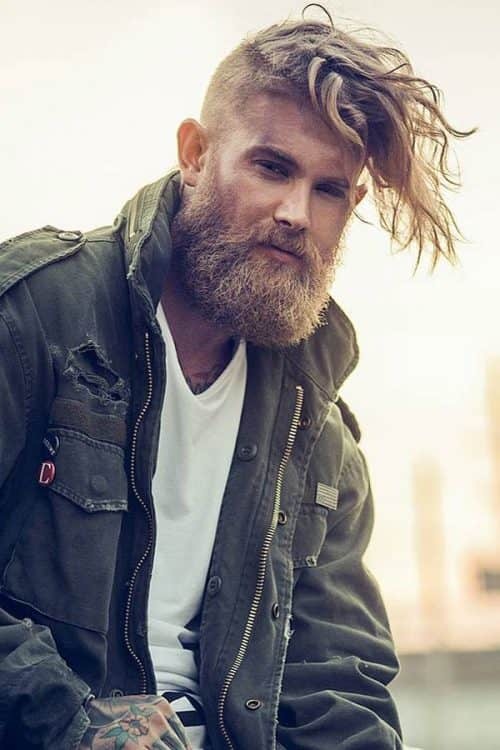 Such cuts are meant to accompany those who are not into smoothness and tidiness in haircuts, which allows you to sport a disconnected undercut with beard. Another good thing about the undercut is that it gives you a possibility to individualize your cut. You can spice up your brand new image with an undercut design, which, in its turn, can take place wherever you want. It can highlight the transition between the sides and top or simply embellish the back with a unique design. Undercut hairstyles don’t stand still due to the infinite variety of its styling flexibility. The truth is that you can create your own under cuting hairstyle based on your preferences. 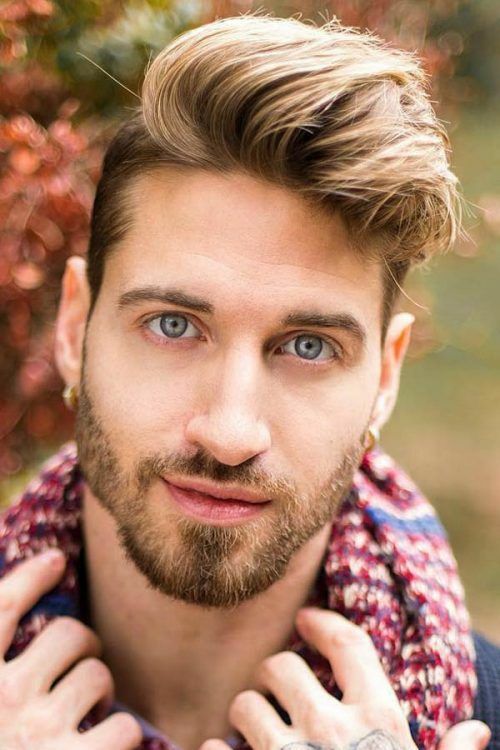 Mens undercut hairstyles may differ in parting and texture, and one of the common things about them that each one won’t do without the right styling products. Move on and check out some popular examples of the undercut hairstyle men wear today to find something for you. Slicked back undercut is probably the most famous style in the world’s undercuts community. Though it’s slightly different from the regular undercut styling, the slicking makes it appear in a new light, reminding us of dramatic pompadours. The main reason why men go for slick back undercut is that it’s suitable for any hair type and can fit any occasion. 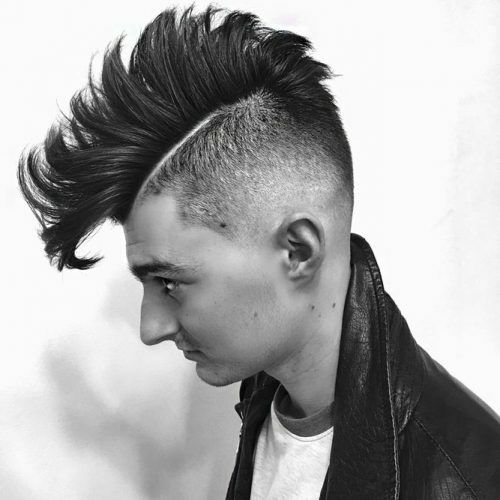 Undercut pompadour hairstyle is a modern comeback of the rocking rolling 50’s. It has changed throughout the time, yet its main characteristics can still be seen in its modern versions. 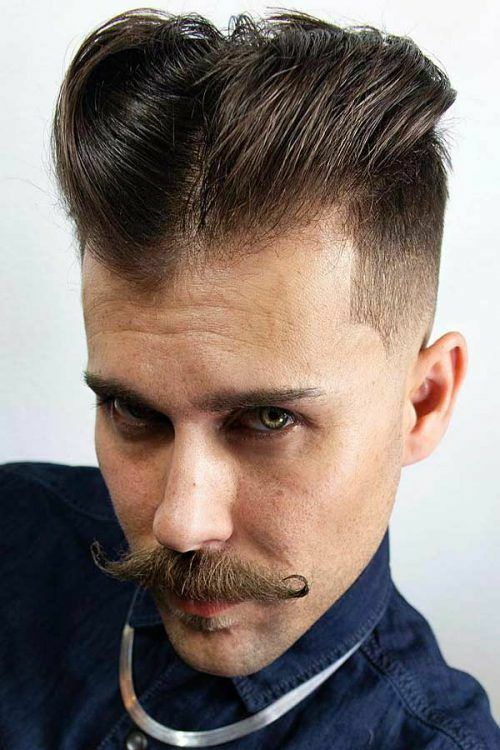 The point is to sweep the top back with the help of wax or pomade, creating a voluminous lift on the front. It can be either bold or subtle; it’s all up to you. A side part undercut is an excellent way to play around with your cut. Initially, this cut doesn’t involve side parting, so it can be a nice base for experiments. With a side swept undercut, your look will become more eye-catching and sharp, as parting creates a definite line that sets the unique balance of your whole style. Most of the undercuts you see are focused on straight hair, so the curly undercut is here to prove that there’s no an undercut curly hair types can flaunt with. The way of styling your curly hair undercut directly depends on its behavior. 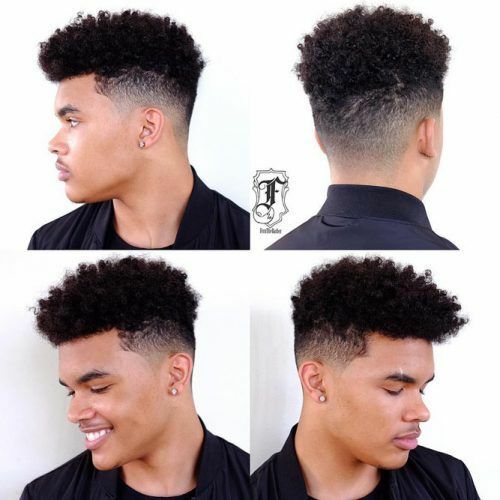 If it’s thick and tends to curl when it grows long, both short and medium undercut variations will work for it. Set your hair goals and choose the length based on your aims of comfort and practicality or style preferences. Now it’s time to talk about the texture options that can freshen up your under cut. The idea of a messy under cut will take over men who prefer a lot of natural movement in hair to cleanly styled looks. Such a dimensional effect can be achieved with styling products, so make sure that it matches your hair type. 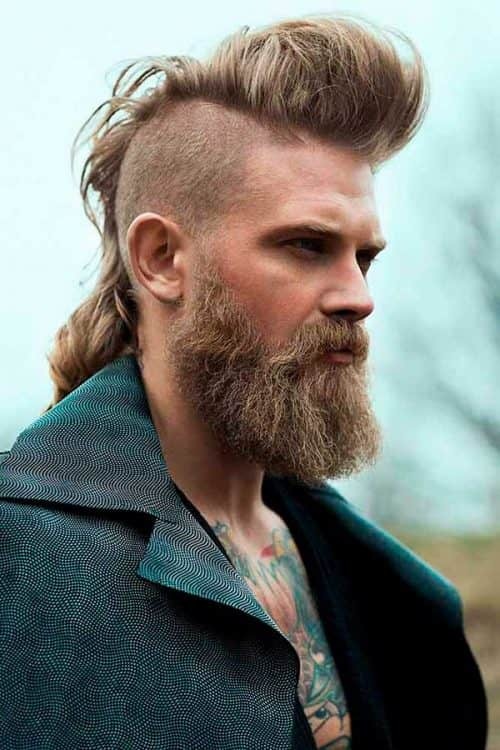 Messy undercuts usually come with nape and side designs, which is optional. There are short undercut hairstyles that focus on texture and volume at the same time, giving a pretty masculine look to the wearer. A spiky hair on top with a hint of messiness that is paired with softly faded sides is a nice way to emphasize your shakedown nature. You may remember the iconic quiff hairstyle from the stylish musicians of the loud 50’s. And now, it’s still quite a trendy style that you can combine with short undercut men from all over the world wear. 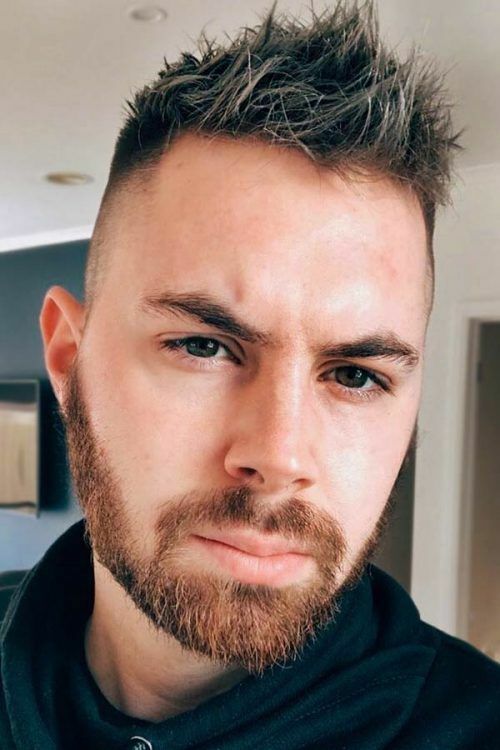 If you work with a short-hair under cut, you can create a quiff hair effect by simply brushing your waxed top towards the back, while the classic medium length variations require drying your hair up and back with a hairdryer. The man ponytail is a simple, yet awesome hairstyle that many barbers consider to be the trendiest in contemporary men’s fashion. And when this style is combined with an undercut, it gives birth to natural looks of the undercut ponytail which can show that you treat your hair with respect. 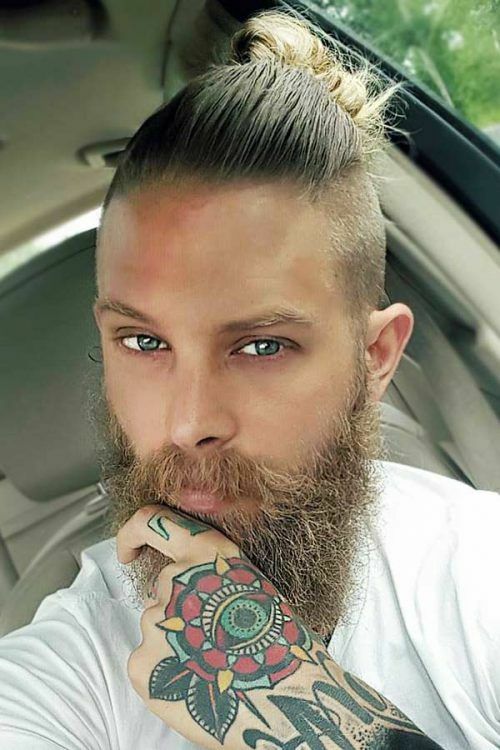 Undercut man bun is a combo hairstyle that guys with any hair type can pull off. 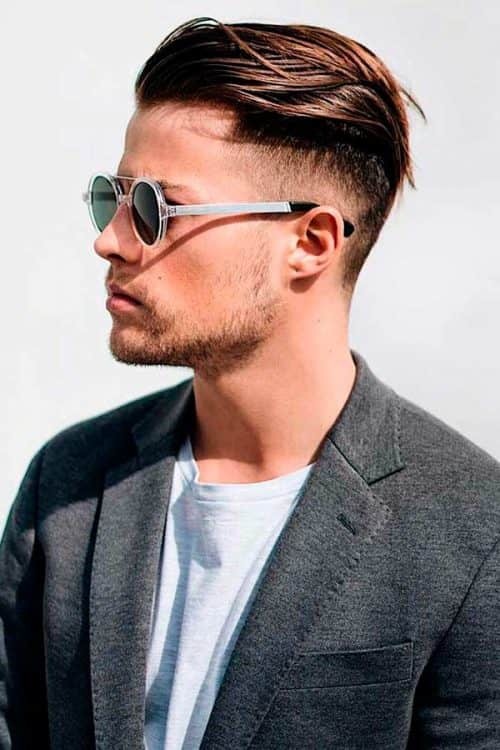 The thing is that nothing is easier and more manful than wearing a chic and sleek man bun, so if you were looking for a reason for growing out your hair, let modern man bun variation take your style to the next level. The main aim of hairstyles for natural hair is to make the frizzy curls behave. 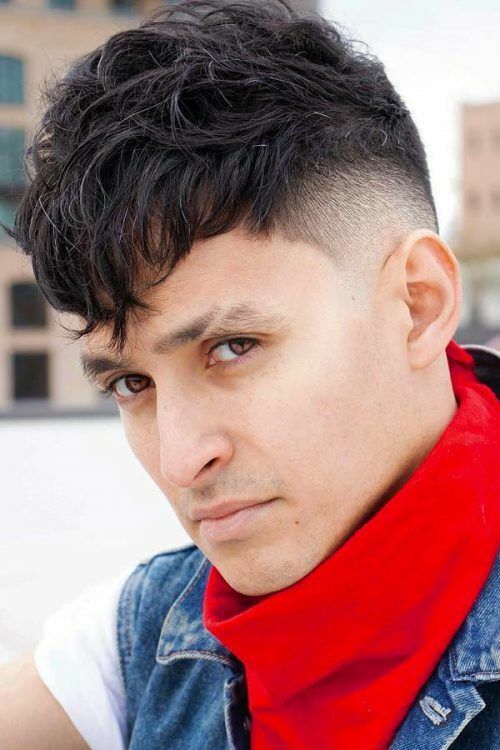 Knowing the structure of the undercut, it’s clear that it can be one of the handiest options that can keep your hair manageable and your style on point. Once you try out one of the black hairstyles that feature undercut, you’ll see how to get the most out of your texture. 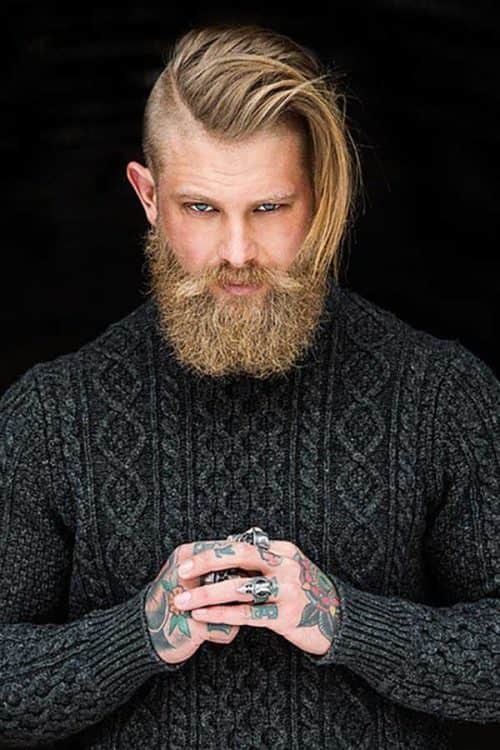 A mens undercut is a way to go if you want to upgrade your slightly outdated Caesar haircut. 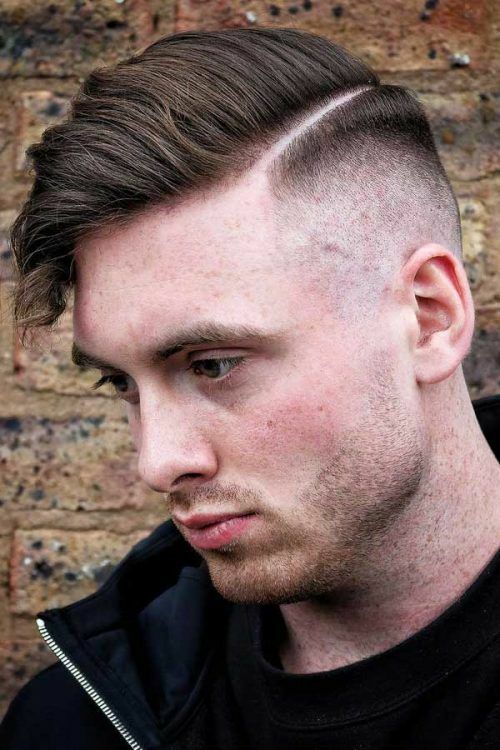 For the ultimately stylish and contrasty look, enhance it with a high skin fade. An undercut is so versatile that it works for pretty much any hairstyle, and dreadlocks are no exception. 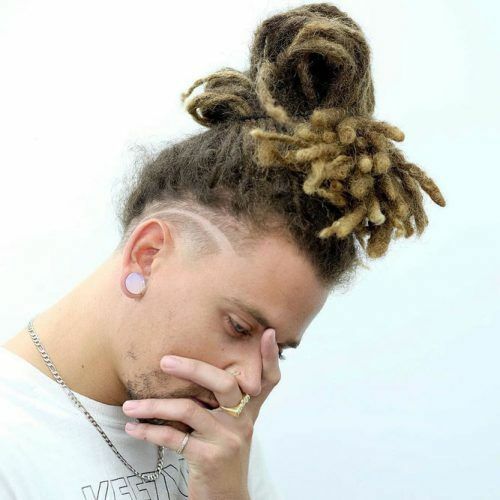 Undercut dreads come out especially awesome when packed into a top knot and adorned with a shaved-in arch on the sides. 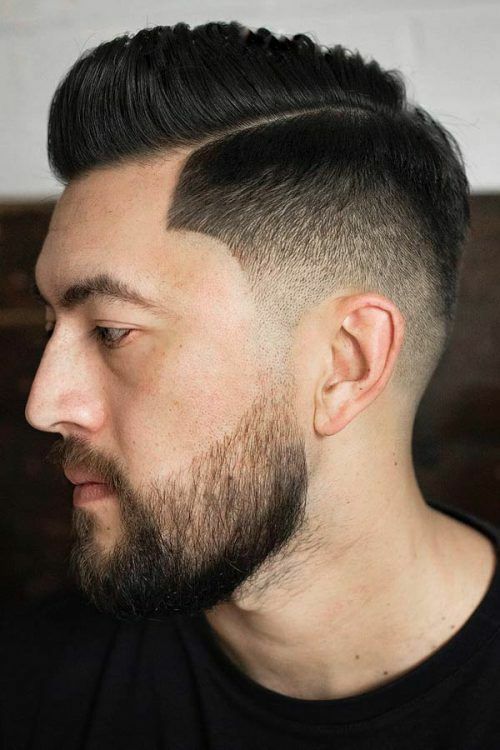 If you’re longing for some change in your current hairstyle but don’t want to be too reckless with the hair clippers, a temple fade will give you exactly what you want. 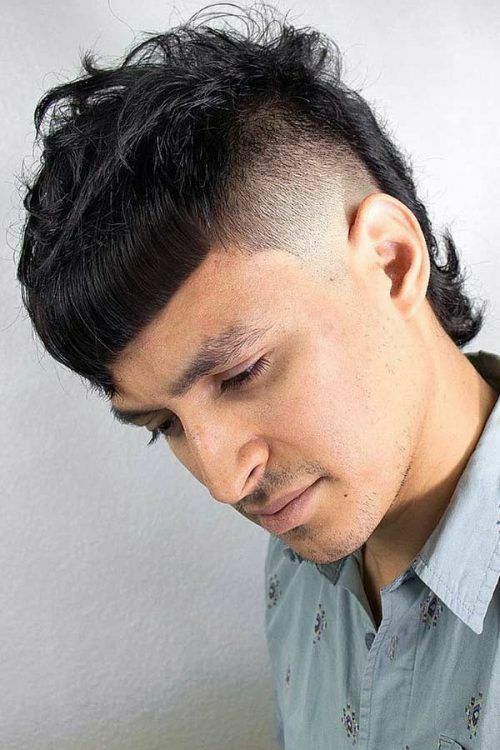 It’s also a great way to make your old-school mullet haircut up-to-date. 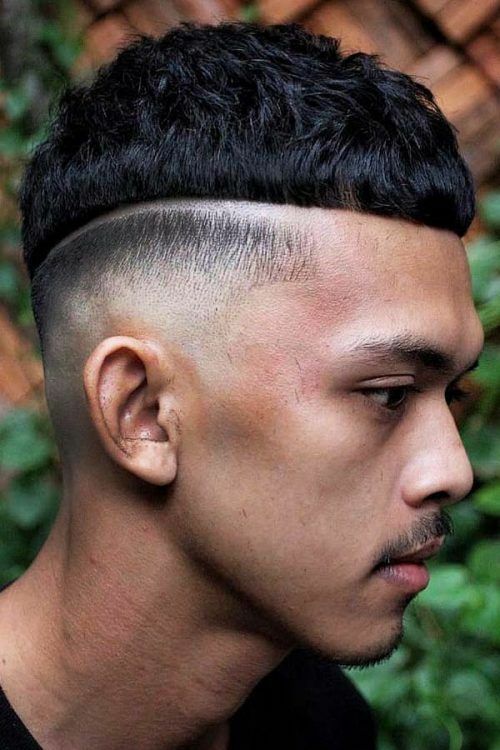 Guys who opt for living on the edge will highly appreciate this absolutely mind-blowing combo of an undercut haircut and a hard part haircut. It even works for a faux hawk should you decide to enhance your crest. Although a French crop haircut is quite sharp in and of itself, an undercut will give it a completely new edge. If it’s still not enough, define your French crop with a carved-in line that goes all around your head. For gents who follow a dress code or want to fit a formal ambiance, a comb over haircut is always a smart option. Though, it might seem a bit too preppy at times, and here’s when an undercut fade comes into play. Men who value their time will greatly benefit from having their short hair undercut. In addition to a bold look, a short undercut men hairstyle delivers low maintenance and easy styling. There are multiple ways to pull off a brushed up hairstyle. However, the right haircut is key. 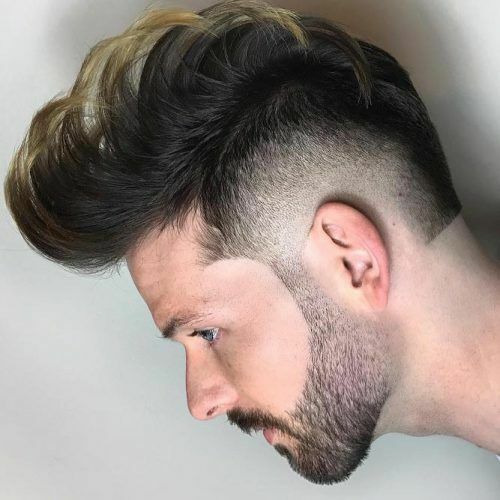 Get a disconnected undercut pompadour and style it whatever way you like. Try, for instance, a crimped hair style, which is all the rage now. 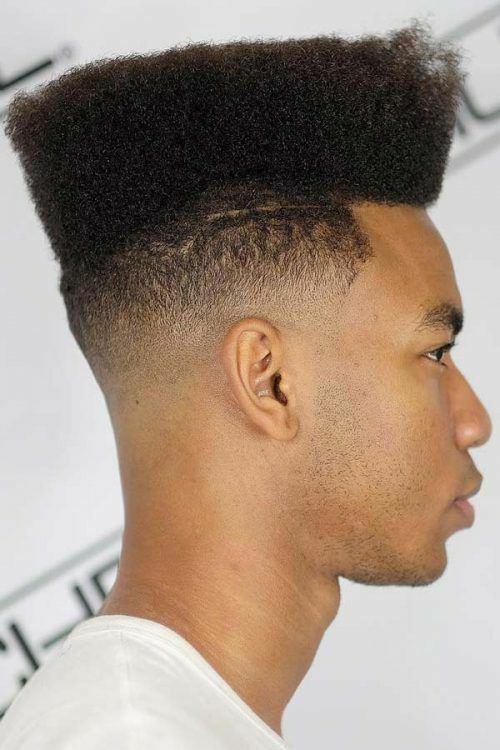 If you’re sporting a high top, you should know that to keep it neat and dapper, you need to have the sides clean-cut. 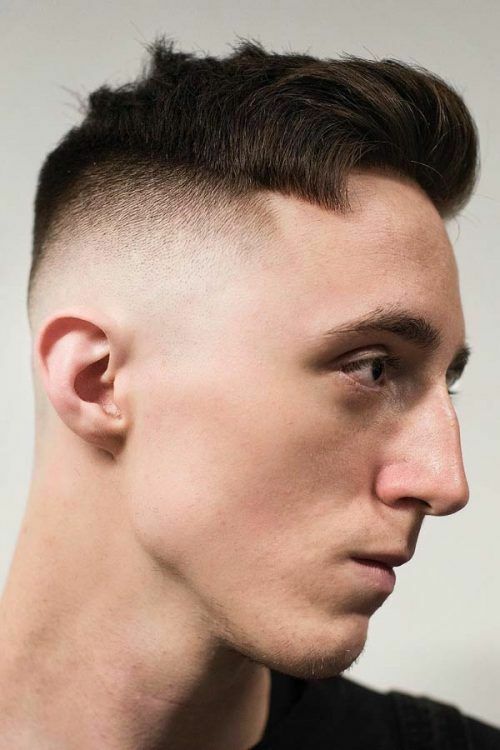 An undercut fade with a shaved-in line that disconnects the flat top from the rest of the hair is a perfect solution. A bald undercut is arguably the best way to show off your head tattoo without getting all your hair shaved off. Also, it works for everyone, from black to blonde hair men. The undercut is one of the most requested cuts: and you’ve just discovered the main reasons why. As you can see, this cut has no limitations and also lets you show off your creativity. It’s time to call your barber or get yourself a razor, isn’t it?